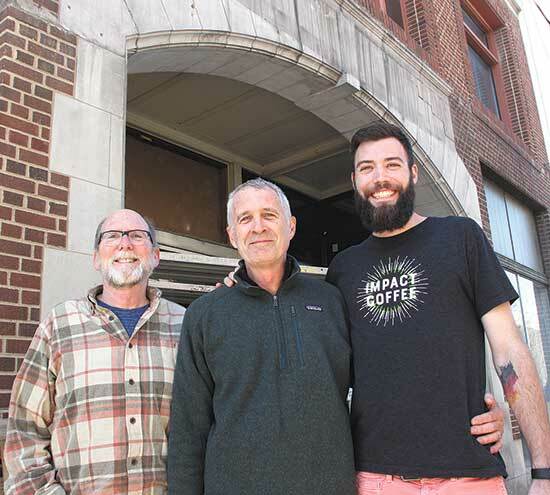 Impact Coffee is moving into the former JCPenney building in downtown Decorah. 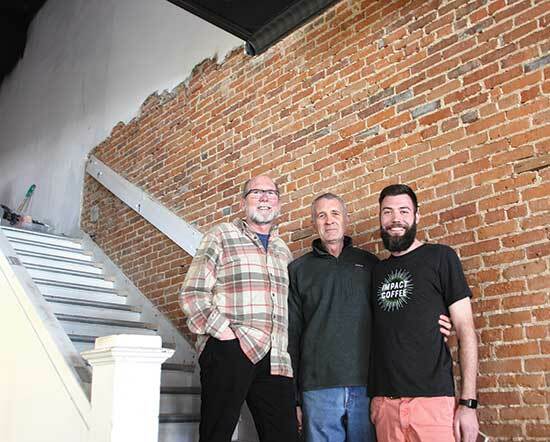 Owners Jeff Brown and his son, Sean, hope to have the business moved from its current location at 118 Washington St. to its new quarters around the corner at 101 W. Water St. by mid-summer. Impact will occupy the main floor and mezzanine level of the former department store, and the third floor will be available for another tenant. Stan Fullerton of Decorah owns the building, constructed in 1871. It’s part of Decorah’s Commercial Historic District which is listed on the National Register of Historic Places. JCPenney closed July 31, 2017, after celebrating its 95th year in Decorah. “We want to thank Stan for everything he’s done to upgrade the building and making it possible for us to move forward like we are. The renovations that have been done and that are going to be done are substantial,” Brown told Decorah Newspapers. This week, the replacement of all the windows in the building began. When that is complete, the natural light in the building will be “astonishing,” and the public will have a chance to see the inside of the building in a way it hasn’t been seen since the 1930s, Brown said. Fullerton also planned to open a distillery in the building, but his distiller, Aaron Coffeen, won’t be able to move to Decorah for at least a year due to current work commitments. Also, Fullerton said the time to move the stills into the building would be through the window openings before they are replaced. But he said there’s no guarantee that he would be able to get a distilling license – a process that can take up to six months -- for the JCPenney building. “Our plan is to find a different location down the road – one that would be completely dedicated to just the distillery,” Fullerton said. Impact has grown “a lot” since it opened in 2015, Brown said. It began by sharing space at 118 Washington St. with Perfect Edge, the custom frame shop Brown owns with his wife, Anja. After about a year and a half, Impact outgrew the space, and Perfect Edge moved a few doors down to 106 Washington St. and Impact expanded into the space vacated by the frame shop. Perfect Edge will return to 118 Washington St. after Impact moves into the JC Penney building. The Browns roast their own coffee and their roastery, now located in the Browns’ garage, will be moved to the new space in the JC Penney building. “Roasting will add a whole other visual for people,” he said. Seating will be expanded in the new location. Impact currently has space to seat about 25 people, and with the move, 75 or more people will be accommodated, Brown said. “It will be a great place for meetings and events,” he added. A “unique, upscale coffee bar” is planned that will be “visually amazing,” he said. Brown credits his son, who manages Impact, for much of the growth that’s occurred at the coffee shop. Because they’ll be quadrupling their space, Brown said the transition will take place over time. But he’s sure people will be “shocked” by how much the interior of the former department store has changed. Impact will continue to pay careful attention to how coffee is prepared, brewed, and how beans are sourced and roasted. Impact offers custom roasting, a full espresso bar, seasonal handcrafted coffee drinks, nitro cold brew and a large selection of high-quality, loose-leaf teas. “Having the roastery there will take it to another level … freshly brewed coffee will be available at the drop of a bucket, every day,” he said. “We’re looking at doing more and better of what we’re already doing. It could evolve into something really fantastic,” Brown said.